Signing PDF document with unique signature add seal of security and identity to your documents. New release of Adobe Reader X application makes routine of adding signature to a PDF file very simple – involving just few finger swipes. Using your finger you can add custom signature to a PDF document at any place on your iPad, iPhone or Android powered mobile phone. Besides adding signature, you can customize look of the signature further and even use Adobe’s ‘Send for Signature’ feature. 2. 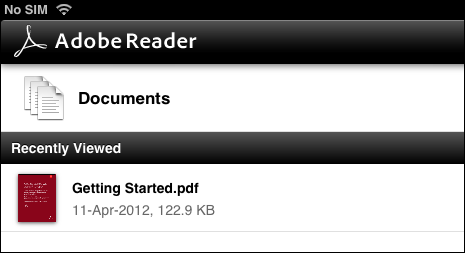 On the application screen, you should see listing of PDF files. 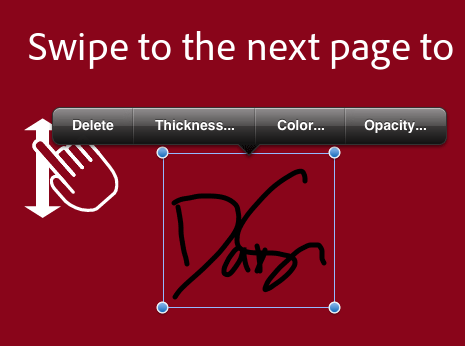 Tap to open any PDF document where you want to add signature drawn quickly using fingers. Tap on annotation button at top right of toolbar (it is 2nd button from left side). 3. Then tap to activate signature button at top right side of the toolbar. 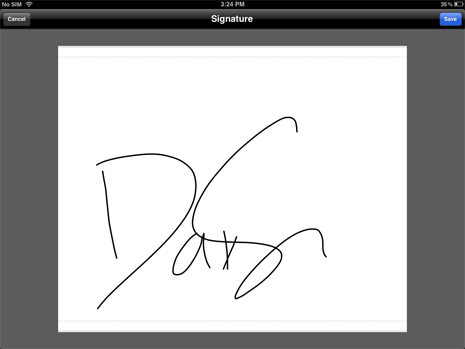 Now tap on the document location where you want to insert and display hand drawn signature. 4. A new blank window should open with ‘Sign here’ text in the middle. Here use fingers to draw your signature and then tap save button. Your newly drawn signature will be automatically inserted at selected place in the PDF document file. 5. Further you can customize the place and look of the signature. Tap on the signature and move around to change the placement. You can use: thickness, color and opacity options to modify look of the signature image. You also delete the signature and draw a fresh signature using finger. To use ‘Send for Signature’ feature, tap on curved right arrow button at top right side of the toolbar. This feature lets you connect to Adobe EchoSign to ask others to sign documents electronically and tracking document status online. For sure, adding signature to PDF document has never been this easy. Using similar procedure you can insert hand drawn custom signature to PDF document on iPhone and Android powered mobile phones.